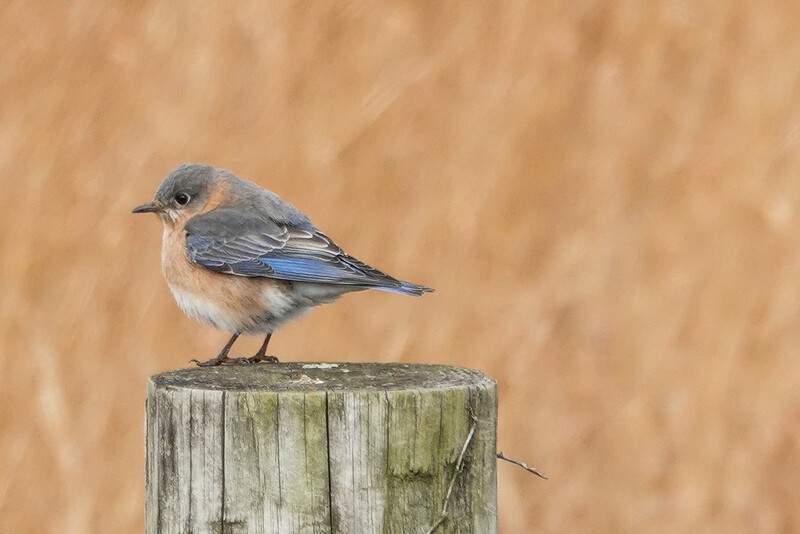 Spotted several young bluebirds while walking today - it sure is nice to find them while they're still young and not so flighty. Instant Fav! I just adore these little darlings, and you take such wonderful pictures of them! This is so beautiful...wish it were my shot! Ahhh...such a delicate little guy. Must be wonderful to see them! Love the catchlight and the beautiful background. Nice detail and focus. Absolutely wonderful, fabulous detail and tones, fav! Great capture - crisp and detailed; the background colour complements the bird's plumage well too. What a cutie and love the colours and details you've captured! hugs congrats for making the TT with this! Congratulations on the TT, Milanie! A beauty. Now that I am back from my trip, I need to catch up. Congrats on the TT Milanie, beautiful shot.